ChemNanoMat is a top-ranking materials chemistry journal for primary research papers and review articles from authors across the world. The journal covers all aspects of the chemistry of nanomaterials and their interdisciplinary applications. ChemNanoMat publishes Full Papers, Communications, and Focus Reviews. Color figures are reproduced free of charge and ChemNanoMat will publish Accepted Articles online directly after acceptance. A professional editorial team headed by Dr. Theresa Kueckmann and an Editorial Board headed by Susumu Kitagawa (Kyoto University), Huisheng Peng (Fudan University), and Hua Zhang (Nanyang Technological University) ensure the highest quality of the peer-review process, the contents, and the production of the journal. 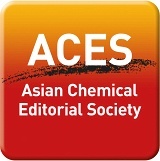 ChemNanoMat is published on behalf of the Asian Chemical Editorial Society (ACES), an association of numerous Asian chemical societies. It is supported by the Federation of Asian Chemical Societies (FACS).